More than 15 years ago, Viking River Cruises began in Russia. Today, they continue to take you to her great landmarks and welcoming heartland. Cruises in Russia give you the chance to take in the colorful sights of Red Square, the royal retreats of St. Petersburg and quaint Golden Ring towns like Yaroslavl and Uglich. In 1939, Winston Churchill called Russia “a riddle wrapped in a mystery inside an enigma.” For centuries, journeys in Russia were fraught with difficulties, regardless of the method of travel. Vikings explored on their longships, and Napoleon’s army invaded on foot and horseback. Lewis Carroll traveled by rail, sleeping on the railcar floor with his head cushioned by his bag and coat. Lenin traveled by train too, arriving in St. Petersburg from Sweden in time to spark the October Revolution. Under Communist rule, travel in the Soviet Union was particularly problematic, with visits regulated and requiring government sanction. With the fall of Communism, travel in Russia has become significantly less difficult, and the tourism infrastructure continues to improve dramatically as more Westerners visit. 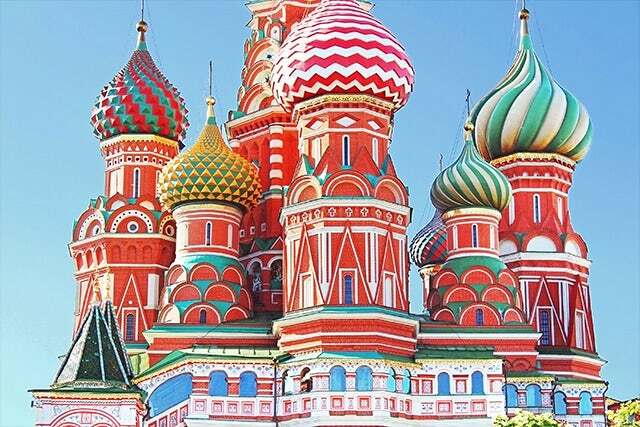 Today, a Viking River Cruises journey provides the perfect way to experience Russia’s countryside, culture and two great cities, Moscow and St. Petersburg. Moscow, Russia’s capital, boasts some 2,500 historical and architectural monuments, 70 museums, 50 theaters, 4,500 libraries and 540 colleges and research institutions. There is so much to see and experience there. Red Square, with the colorful onion domes of St. Basil’s Cathedral, the tomb of Vladimir Lenin and the massive 120-year-old GUM department store, the nearby Kremlin, and of course the city’s world-famous Metro system are just a few highlights. St. Petersburg provides gentler and more graceful pleasures with its romantic canals, baroque palaces and lovely avenues and squares designed along European lines. You will want to visit the Hermitage, both the historic Winter Palace and a world-class art museum with an extensive collection of works ranging from da Vinci and Michelangelo to Cézanne and Picasso; you will gaze in wonder upon the Peter and Paul Fortress with its baroque cathedral inside; and you will enjoy strolling and shopping along Nevsky Prospekt, the city’s main promenade, with its lively culture of street artists and performers. 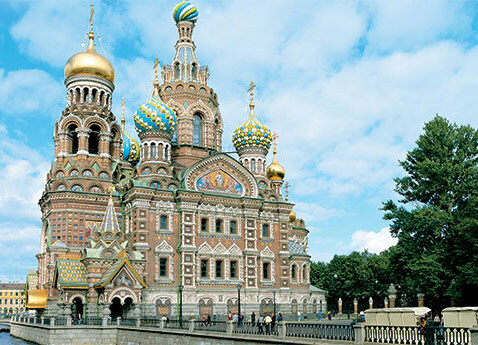 Experience Russia by taking Viking's 'Waterways of the Tsars' River Cruise. This monumental 13-day itinerary includes multiple days in both Moscow and St. Petersburg. But, there is another side of Russia; quaint Golden Ring towns like Yaroslavl and Uglich that only a river cruise can provide. See opulent palaces, discover fortified monasteries and visit beautiful churches and cathedrals. It is an unforgettable way to experience the history and culture of this unique and mysterious country. Speak to one of our cruise specialists now for more information!